On foot or on road, officers can access electronic records to assess suspects, 911 reports and crime histories as well as view augmented maps and camera feeds for a complete view of each situation. GPS-assisted location data means officers know what resources are available to them as well as their potential risk. 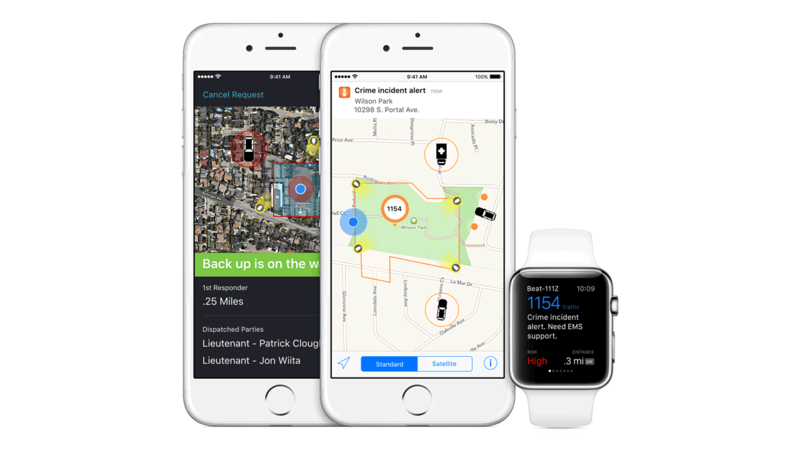 Apple Watch extends functionality so police officers can scan active incidents, access live camera feeds and request officer backup support with just a tap. Incident Aware on iPhone or iPad replaces larger laptops, making information portable and feedback easy to report and manage. Call4Backup provides one-touch functionality for faster response. Customize for your organization and resources to accommodate regional regulations and requirements.